You must have a paracord rope lying somewhere in your garage. Parachute cord which is commonly known as paracord is a lightweight nylon kernmantle rope. You could guess where the rope got its name from. Yes, this lightweight rope was originally used mainly for the suspension lines for the parachute. Now because of its elasticity and smooth texture, this rope is being used hugely in many other things. Here you will see DIY Paracord Projects Which Are Useful in Daily Life. 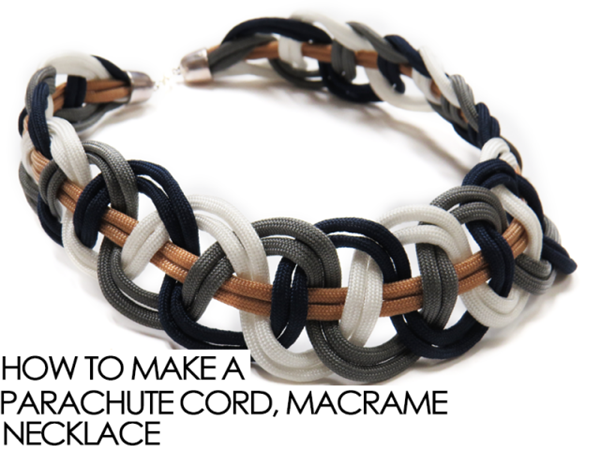 You will be totally amazed by how much you could do with this paracord. Get more such DIY ideas that you could make from scratch. From whips to bracelets, belts to key chains, you could make use of this paracord in many things that are used in our daily life. The paracord is available in many different colours ranging from the simple colours such as red, pink, blue, green, etc. to multi-coloured and neon variations as well. This aspect of the paracord makes it more interesting to be used. This paracord watchband is made using the weaving method. Since the paracord has very smooth texture, it doesn’t feel harsh on the skin unlike other types of ropes. So it won’t be itchy if you wear a paracord watchband. And like you can see, it is not difficult either to make this intricately designed watchband. You can get the different coloured paracord ropes and make lots of watches for your girl. She won’t complain while you’re hiking next time! Keep your beer and soda can cool with this lovely paracord can koozie. You can make it with your favorite colors. All you need to make this can koozie is two strands of paracord, cord-lock, a can to use as a form, sharp scissors, lighter or any other source of flame, and a measuring tool. Once you have all these things, you can start on making this can koozie. Learn how you can make your coffee cup more adorable with nothing but a sharpie. Doesn’t this hanging chair look comfortable and fun to sit on? And what more, it is very easy to make and conforms to your body. So no wonder it will be one very comfy spot. It will make a good use of those useless wooden pallets that might be sitting in your garage. You will just need few tools such as a drill, saw, and lighter. You can paint the pallets and give it a more creative touch, too. Create more such thing that will enhance the decor of your home. Look at this adorable bracelet which is stylish as well as elegant. It’s very easy to make too. 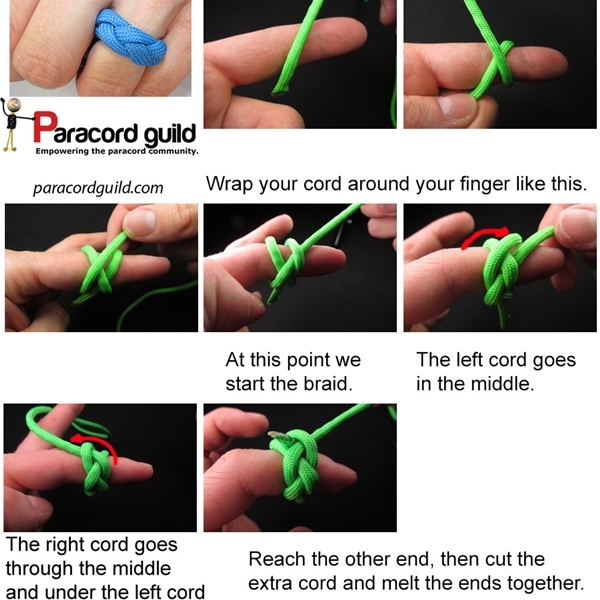 You will need few paracord strands of your favorite color, a lighter, a scissor, measuring tapes and plier that’s all. A few times of twisting and knotting later, you will get your zipper paracord bracelet. Do you have a dog who is a heavy chewer and chews off all your shoes and what not? You do adore this beast but this heavy chewing just pisses you off! So give your dog a paracord toy to chew upon. The paracord could get easily and this will prevent your dog from ruining any more of your shoes. You might have seen lots of paracord key chains, but here you are in for a surprise. This paracord keychain has a secret compartment where you can stash few bills in. Get a strand of paracord, a pencil, lighter, and a key ring. 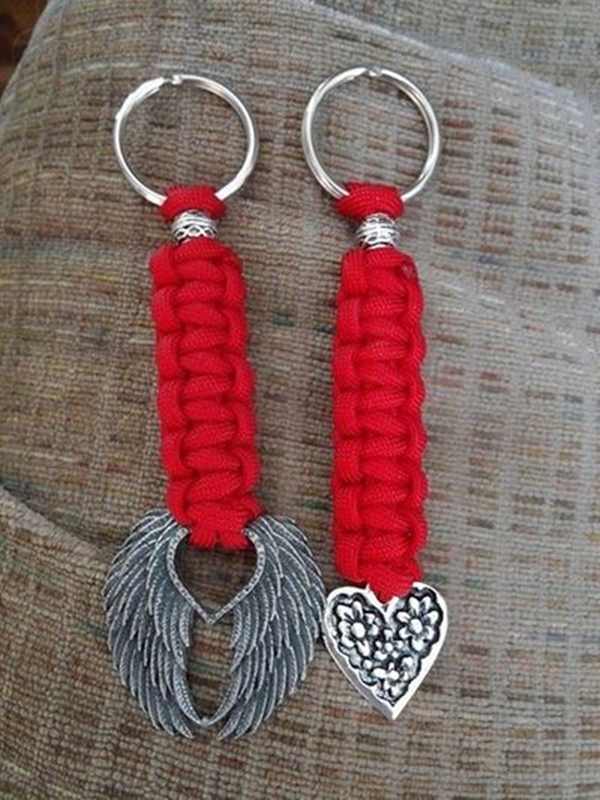 This keychain is very easy to make and you could make it with different colored paracord. Make your own laptop harness with this easy tutorial using paracord. It looks cool and will keep your laptop safe. Also, if you have lots stickers on your laptop, this is the best way for you to show them off. The size of your laptop will define the length of the paracord you will need to make this harness. Aside from that, you need a lighter or matchbox, scissors, and tape. That will be all and you can start weaving your laptop harness. Everyone must have one of these amazing survival bracelets that not just only look cool but can store few first aid items too. You never know what would happen next moment, so it wouldn’t harm to always be ready. Few of the basic first aid items that might require in case of injuries can be easily stored in this survival bracelet. So start making one or lots of them for each member of your family. Make a cool wrap for your bottle by using paracord. All you need is four strands of paracord, a scissor, lighter or any other source of flame, and of course an aluminum bottle for size. It might look messy but once you start making it, you will find it quite easy to make. Check out these cool winter DIY projects that you will definitely love. Wrap paracord to your electronic cables such as headphones and cell phone chargers to protect them from breaking off. It’s a common problem that we all face after some time. So give them a protective layer with this easy paracord project. Look here for much such DIY projects that will put you in awe. So now you know that the paracord could be used in so many things that will make your day to day life easier. Also, the paracord is very cheap so it wouldn’t be like you will be spending lots of bucks on it. 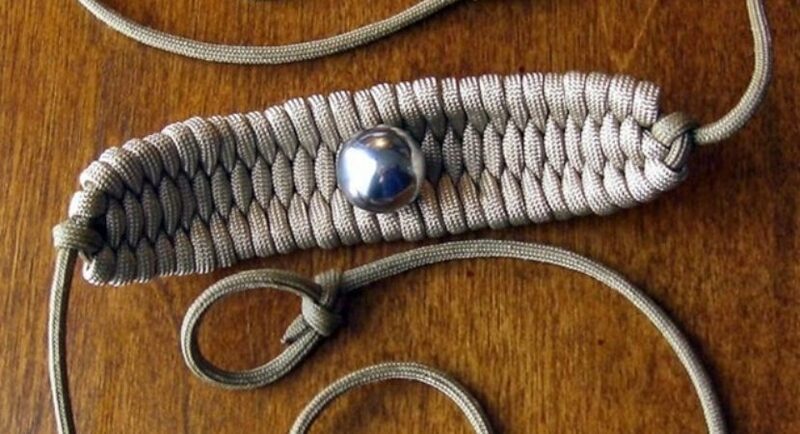 Get the paracord and start working on these amazing paracord projects. Make use of your pipes too and create such lovely items.